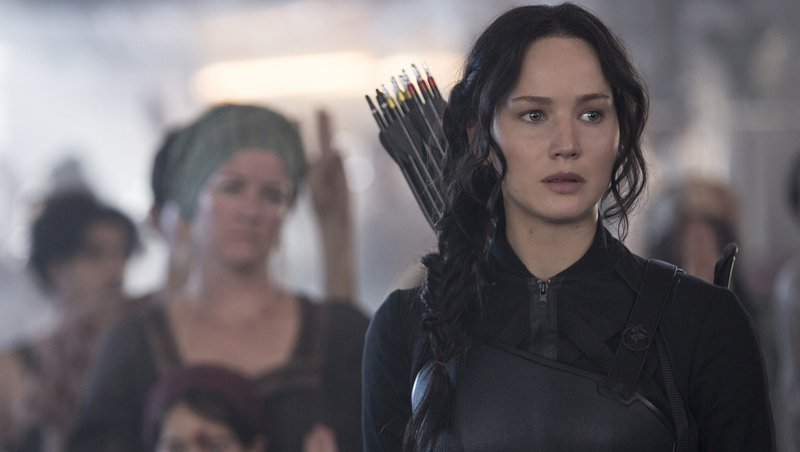 There's officially just one month to go on your "The Hunger Games: Mockingjay - Part 1" release date countdown, and two new tidbits about the film have been released ahead of its Nov. 21 debut. The track list for the film's soundtrack surfaced on iTunes Tuesday. The collection of songs, curated by Lorde, includes her track "Yellow Flicker Beat" and contributions from The Chemical Brothers, Grace Jones, Haim, Charli XCX, Simon Le Bon and others. On Twitter, Lorde said she was "so pleased" to share the soundtrack rundown with the world and explained that the song listed as "Track 5" isn't quite finished yet. As if that wasn't enough to please "Hunger Games" fans, a new teaser trailer for the film was also released Tuesday. In it, Gale delivers some real talk about Peeta and Katniss vows to fight with the rebels.